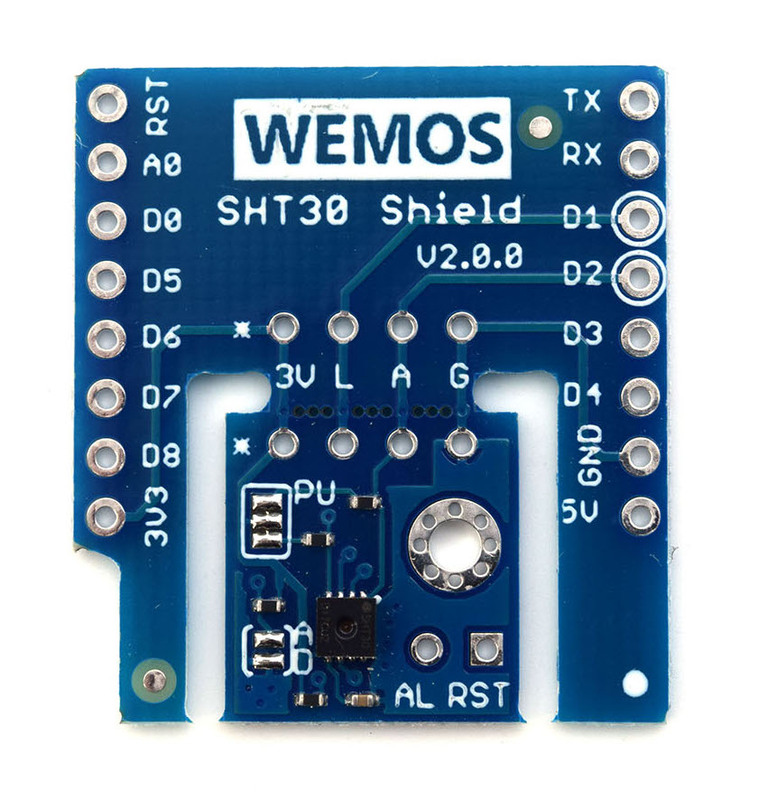 From the Wemos SHT30 shield specs the SDA pin on the SHT30 shield is connected to D2 and the SCL pin to D1. Note: v1.0.0 is retired, but v2.0.0 has the same pining. 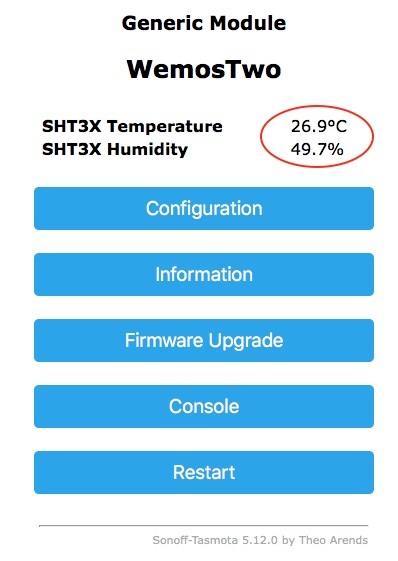 As per default the sht30 uses i2c address 0x45 and is user changeable by short-circuit the two soldering pads at the lower left-side of the sensor (see image below marked green). 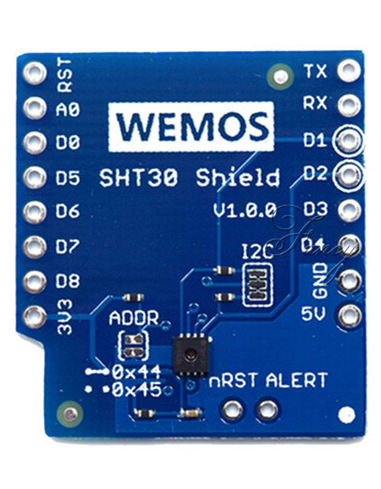 Also if no other i2c devices are connected to the Wemos it might be wise to short-circuit the three soldering pads at the upper left-side of the sensor (see image below marked red). 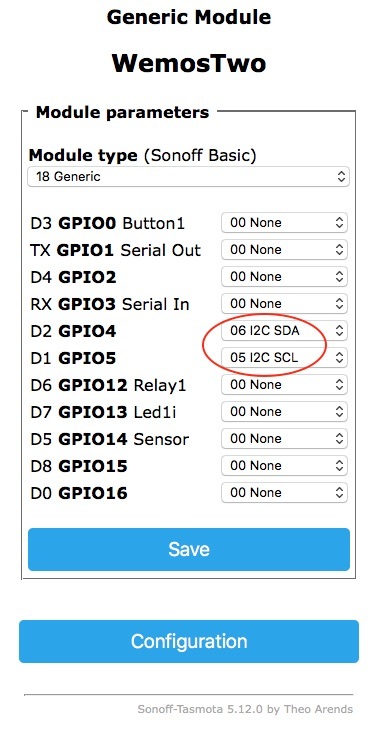 This connects the pull-up resistors for i2c and biases the SCL and SDA pins to VCC. This is to avoid possible false detections of other sensors like VEML6070.